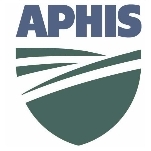 Agency veteran Kevin Shea was appointed administrator of the Animal and Plant Health Inspection Service (APHIS) in the U.S. Department of Agriculture on June 18, 2013. Shea, who has served as acting administrator since June 2012, succeeded Gregory Parham, who was named acting assistant secretary of Agriculture for administration. A native Washingtonian born circa 1954, Shea graduated DeMatha Catholic High School in Hyattsville, Maryland, in 1972. He earned a B.A. in Political Science and Government at the University of Maryland at College Park in 1976 and a law degree at the University of Baltimore School of Law in 1991. Joining APHIS circa 1979, Shea served early in his career as a budget analyst, chief of the Program Analysis Branch, and chief of the Policy Analysis and Development Staff. After graduating law school in 1991, Shea practiced law for a year in the litigation department of the Baltimore law firm of Frank, Bernstein, Conaway and Goldman, returning to APHIS upon the firm’s demise. From 1992 to 2000 Shea was director of budget and accounting, and from 2000 to 2004 he was deputy administrator for policy and program development. Shea served as associate administrator from September 2004 to May 2012. Shea resides in Crofton, Maryland.